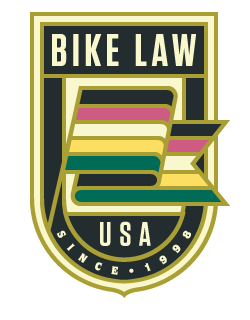 Bicycle lawyers are frequently asked for advice about the bicycle insurance coverages cyclists should consider. The answer to this question is complicated and usually requires an analysis of a cyclist’s unique circumstances and existing insurance policies. However, virtually all bicycle attorneys recommend that all cyclists purchase“uninsured motorist insurance” and “underinsured motorist insurance.” The importance of these two related types of insurance coverage was demonstrated in a case in which a judge in a rural Michigan county recently approved a $1,000,000 settlement for the family of one of our clients who was killed in a bicycle/automobile collision. In Michigan, uninsured motorist and underinsured motorist coverages are considered optional coverages on automobile insurance policies. However, even though they are sold as part of an automobile insurance policy, they often provide important insurance coverage for cyclists. They are not offered by all insurance carriers, and not all agents recommend the coverages to their customers. Uninsured motorist coverage gives an insured person the right to bring a claim against his/her insurance carrier for the same damages he or she would have been entitled to receive from a negligent driver who caused injury or death, if the negligent driver was not insured. Uninsured motorist coverage is available from most Michigan automobile insurers and is typically available in the following amounts: $20,000; $50,000; $100,000; $300,000; $500,000; and $1,000,000. The amount of uninsured motorist coverage purchased by the policy holder is the maximum amount for which a claim for uninsured motorist benefits can be made. Underinsured motorist coverage is similar to uninsured motorist coverage. With this type of coverage, the injured person can bring a claim against his or her insurer for any damages not covered in a claim against an at-fault party who does not have adequate insurance to cover the damages. The case referenced above is a perfect example of how this coverage works and why it is critical for bicyclists to include this coverage on their automobile insurance policy. If a cyclist doesn’t own or drive an automobile, these insurance coverages may be available by purchasing a specific bicycle insurance policy. In this case, our client was out for a ride as part of his training for an organized multi-day bicycle tour. He was riding alone and was traveling on a wide shoulder of a two-lane highway. Witnesses confirmed he was far from the lane of travel, but as one car passed it swerved onto the shoulder and struck our client at a speed of approximately 55mph. The injuries our client sustained from the trauma were significant and ultimately caused his death. The driver of the car was a middle-aged factory worker who earned close to minimum wage. She insured the vehicle with an automobile policy that contained only $50,000 in liability coverage. Fortunately, our client had purchased $1,000,000 of uninsured and underinsured insurance coverage through his automobile insurance carrier. This allowed our firm to make a claim against the driver that caused the collision (or her insurance carrier) for her full $50,000 in liability insurance coverage, and also to make a claim against our client’s insurance carrier for $950,000 in underinsured motorist benefits. This figure represents the $1,000,000 in underinsured motorist coverage, less the $50,000 paid by the negligent driver’s insurance company. A monetary settlement can never come close to fully compensating a family for the loss of a loved one. However, it can make a significant difference in the family’s financial security. If our client had not purchased underinsured motorist coverage, the claim for his estate and family would have been limited to $50,000 from the insurance company and the possibility of trying to collect additional funds from a driver, who for all practical purposes, was uncollectable. It cost our client only $40.22 per year for both his uninsured and underinsured motorist coverage. Even though these coverages are important and inexpensive, some insurance companies fail to offer them, and many consumers don’t know enough to look for a policy that includes them. We strongly recommend that all consumers, and particularly cyclists, purchase uninsured and underinsured motorist insurance coverage in the maximum amount they can afford.